Oh boy, have I got a treat for you today! I am a huge fan of personalized things. I always have been. You know this if you’ve been around here very long. However, “Krista” isn’t a name you commonly find among all the other personalized key chains. After Little J was born, I bought myself a stamped Mother’s Necklace for my birthday. It ended up that it was not quite what I’d hoped for, but I did like it and wore it often. 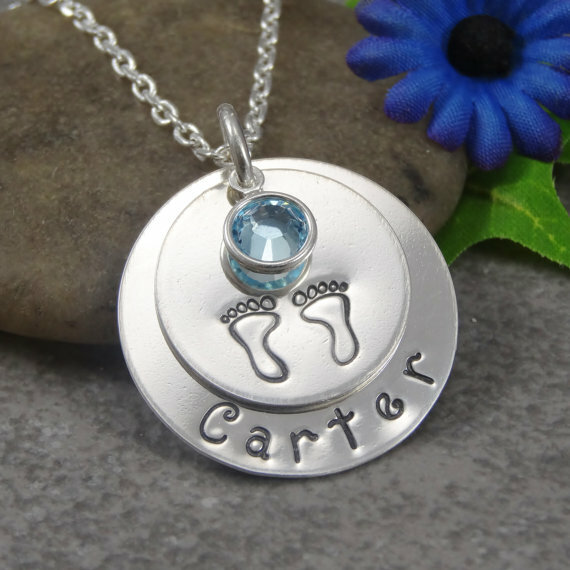 Until I found out I was pregnant with Baby N… I couldn’t wear a Mother’s Necklace that didn’t have all my children on it, right? It may have been the hormones, but that’s where my mindset was and so it was granted a permanent spot on my jewelry board. I’d planned to replace my necklace, but having a baby and a tonsillectomy on your toddler isn’t cheap and jewelry just wasn’t in the budget and would have to wait. For as long as I can remember I have always loved all things creative whether it is drawing, writing, painting, scrap-booking, crafting or creating jewelry. My little business is a perfect way for me to be a full time mom while being creative. 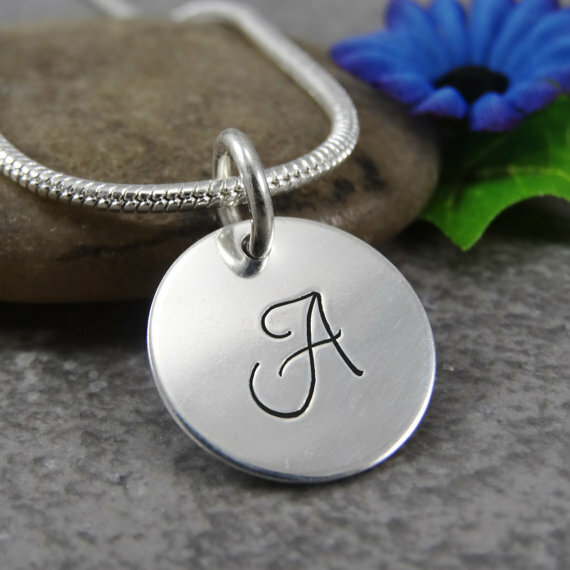 Hand stamped jewelry is so exciting because the possibilities are endless. The pieces are unique and so personal. It’s amazing how jewelry can have such a deep meaning. I love the fact that I am able to create such personal pieces that have a special place in someone’s heart. Whether it is a remembrance necklace or an autism bracelet I know that there is a heart warming story behind it. 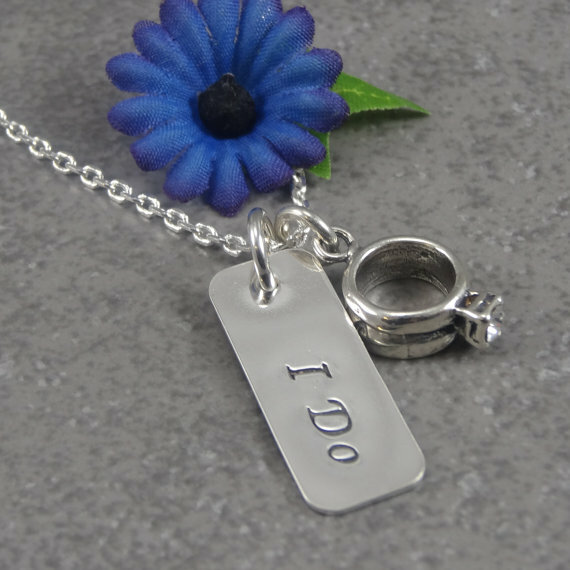 So, you want your own hand stamped piece from Daniella, right? Did you see all the options she has? You don’t have to get just a Mother’s Necklace. Pet lovers, grads, moms, grandmas, bridesmaids, fiances, or something for yourself… all of these options are available in Daniella’s shop. Now, let’s get to the good stuff! Daniella is giving away an awesome $40 credit to her shop. Choose anything you want! Giveaway closes on May 18, 2014 at 11:59pm PDT. Use the Rafflecopter widget below to enter. Giveaway is open to US residence only, however international shipping on orders is available in Daniella’s shop. 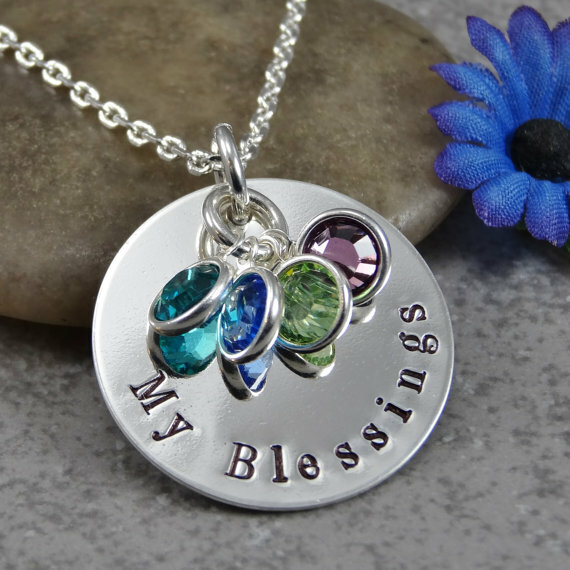 I would get a necklace for my mom. I think I’d go for the mom bracelet. Just love her combos. 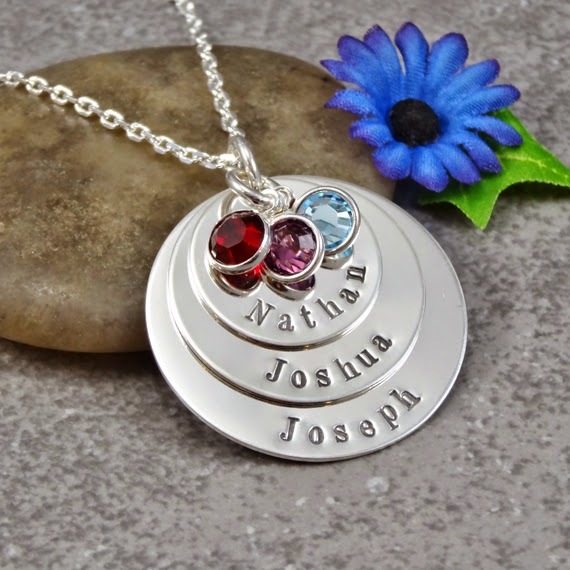 I would probably choose the Hand Stamped Jewelry – Personalized Jewelry – Mother Necklace – Sterling Silver Necklace – Three Names Three Birthstones. Thanks for the chance to win! 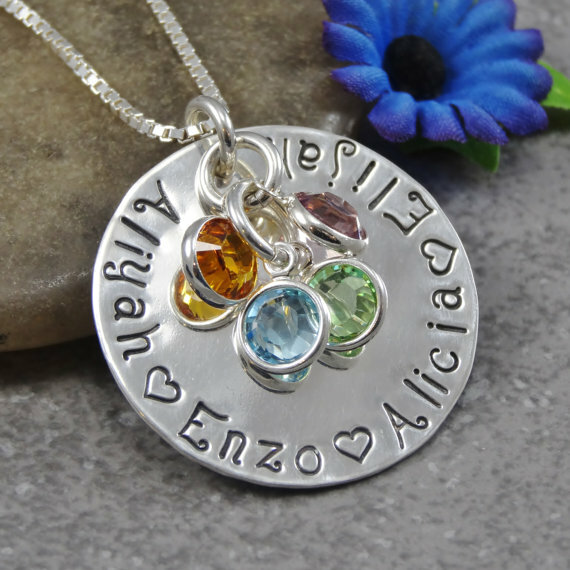 I love the Luck of the Irish necklace, however I would change the phrase to have my son’s name with the shamrock charm. Lovely! Probably a mother’s necklace, but I’d have to wait seeing as how I’m expecting No. 3! So sweet! Love them all. My blessings, love them all! I would choose the Heart Outline Couples Necklace. Thanks for the opportunity to win!